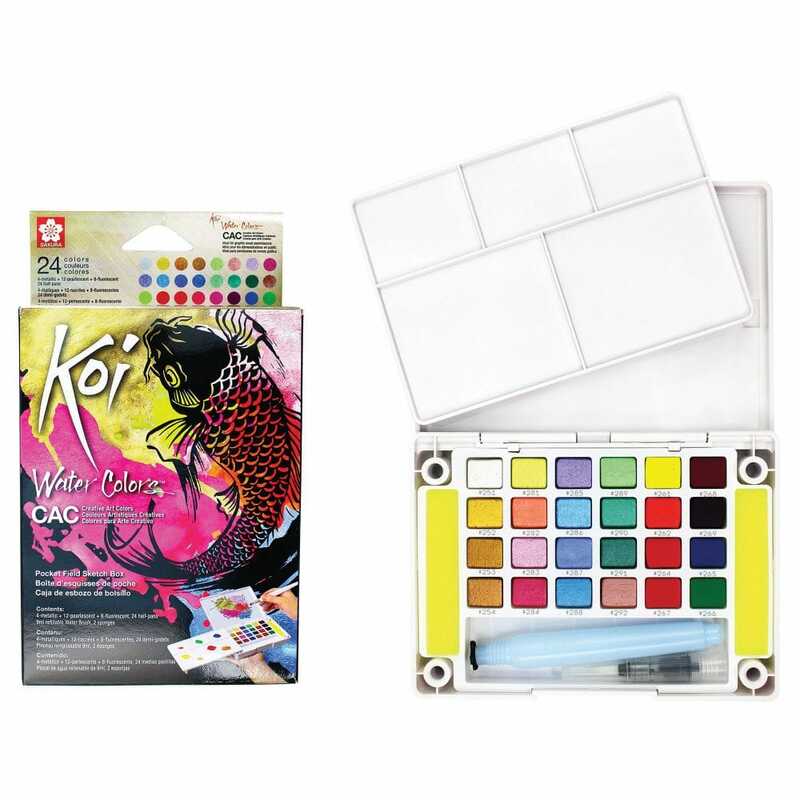 Capturing a moment in a water colour sketch is incredibly easy with the Koi Water Color Sketch Boxes. These portable water colour sets are perfect for painting on-the-go, there where you get the most inspiration. The water colour paint blends easily to create an endless range of colours on the folding mixing plate. A refillable water brush allows you to store water wherever you are. Lightly squeeze the reservoir to rinse the brush and you're ready for the next colour. The special effects can also work very well on black paper, the metallic and pearlescent shades are ideal for adding shimmer to your lettering, illustrations, comic characters and mixed media paintings.